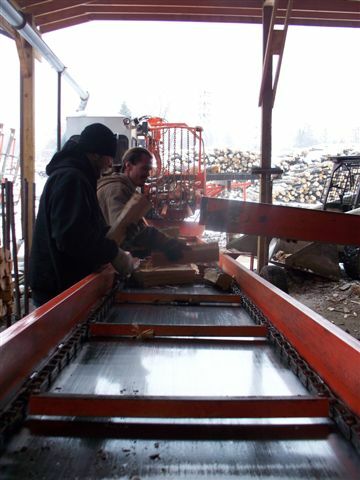 Southern Tier Forest Products, Inc. (STFP) has been a leader in kiln dried firewood products since 1983. The company has grown from 8,800 packages of .75 cubic foot bundles in 1983 to over 600,000/year now, with additional bundle of warmth products. All wood products are USDA certified. 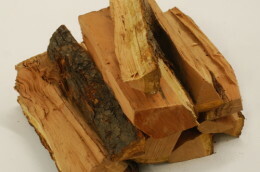 These products include kindling, bundles and palletized cord wood for residential and/or commercial use. All the wood used in our products are N.E. hardwoods that includes Ash, Beech, Birch, Cherry, Hickory and Maple. Much of the raw material used to produce each item used to be left in the woods as there was no market for it other than homeowners who had full log trucks delivered to their home to be used for the winter heating season. Now the raw material is in big demand for firewood and paper pulp. Thus, there are more companies seeking the raw materials that are available. The kilns used to dry our products are like no others in the industry. We pride ourselves in the finished products we produce, so that you, the consumer, have a great experience and will look to purchase our products again and again. The following picture and verbiage will describe what items STFP has and the uses applicable to each item. Whether you are a homeowner or a commercial buyer, we have the products to meet your needs that will be satisfying to all those who want only the best. STFP has survived since 1983 by providing products that have been accepted and used by many, many people all over the USA, and we’re still here because we do it right, day in and day out, 52 weeks a year. Let’s look at what the Bundle of Warmth™ name brings to you for your enjoyment.